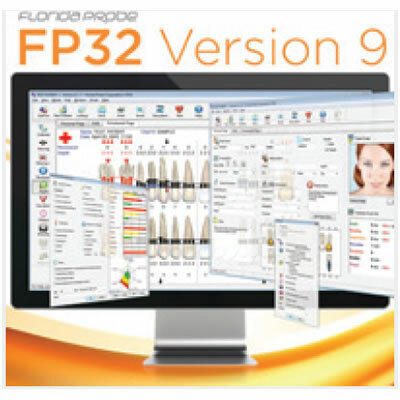 The Florida Probe FP32 Version 9 software helps chart periodontal exam data, educates patients, and motivates patients to accept needed periodontal therapies. The improved features make Version 9 a must-have solution in the fight against periodontal disease. Use FP32 Version 9 with Florida Probe's classic computerized Handpiece and Footswitch (Florida Probe System) or another periodontal probe and Florida Probe's wireless keypad as an input device (Go-Probe System). Both systems will increase treatment acceptance and can generate hygiene revenue for the practice.